Growing up in Germany, influenced by her herbalist grandmother, Olivia learned early on to appreciate the gentle yet effective ways of nature’s medicine. She studied indigenous herbs and their healing properties and began to create her own herbal remedies. After she came to the United States in the 1990s, she realized that, unlike in Europe, alternative medicine was still in its infancy here. In 2006, she opened the first store/café in the valley that focused on selling premium loose leaf teas, herbals and offered educational seminars on health and wellness. Running a successful business while rearing a family took its toll and she was confronted with a healing crisis that ultimately introduced her to Traditional Chinese Medicine and Acupuncture. Intrigued with the Eastern Philosophy underlying this medicine and impressed with the results, she decided to pursue a formal education in this field. In 2016, Olivia graduated with a Masters of Science in Acupuncture from the Phoenix Institute for Herbal Medicine and Acupuncture. She received her National Board certification soon after and became a Registered Diplomat of Acupuncture by the National Certification Commission for Acupuncture and Oriental Medicine (NCCAOM). Olivia is certified in Clean Needle Technique (CNT) by the Council of Colleges of Acupuncture and Oriental Medicine andis licensed to practice by the Arizona State Board of Acupuncture. In Olivia’s approach to healing, she combines Western research with time-tested Eastern modalities and protocols. Every patient and every condition is unique and therefore it is important that she learn as much about the current ailment, past health history and the patient’s lifestyle and mental/emotional health. Traditional Chinese Medicine (TCM) focuses on a holistic health assessment and once that has been established, she creates a treatment plan, tailored to the patient in order to achieve the best outcome and to improve the quality of life. 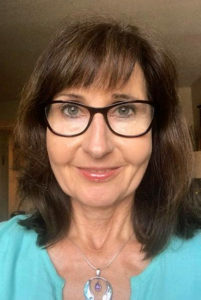 Olivia also believes in the strength and benefit of an integrated health care model and therefore works closely with a network of other healthcare providers whenever it is to the benefit of the patient. She is passionate about alternative medicine and absolutely committed to her patients on their journey of healing! A dynamic and integrated health care system that works with the nervous system to activate the natural self-healing abilities of the body. Acupuncture can be helpful in the prevention of illness and to create balance on a physical and mental/emotional level. Acupuncture is Safe, Natural, and Effective and it’s the perfect way to get well and stay healthy. Acupuncture is recognized by the World Health Organization (WHO) and the National Institutes of Health (NIH) as effective in treating different conditions. A therapy used in TCM in in which glass cups are placed on your skin for a few minutes to create suction. It is used to break up stagnation of energy in the body, to help with pain, inflammation, blood flow, relaxation and well-being. “Sliding Cupping” can also be used as a type of deep-tissue massage. Proper Nutrition is important for a healthy body and mind and is therefore an integral part of every treatment plan. Herbal supplementation is used to support the body when needed. While Olivia uses some Chinese herbal formulas, she relies greatly on Western herbs, most of which are native to the U.S. and organically grown and manufactured here. Looking good certainly plays a role in how we feel overall! Unlike many popular cosmetic procedures, Facial Acupuncture is non-invasive, painless, non-surgical method of reducing the signs of aging by stimulating circulation and collagen production. Every Wednesday from 10AM-2PM and 3PM-6PM, Olivia offers acupuncture treatments in a “community” style setting. Treatments are accessible (no appointment necessary), affordable and convenient. 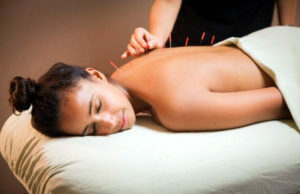 An ideal way to give Acupuncture a try, for stress management and for follow up treatments. 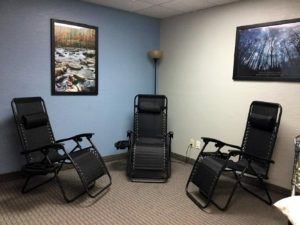 Needles stay in place for 20-30 minutes while you relax comfortably in a serene atmosphere. Your first acupuncture treatment is 90 minutes and consists of an in-depth wellness assessment followed by a 20-30 minute treatment. Follow up treatments are 60 minutes.